LEDGlow’s 49" Compact Truck Red LED Tailgate Light Bar is slim, yet durable and brings added safety to your vehicle’s tailgate with a red LED light bar that provides highly visible brake, running, hazard, and turn signal light functions. 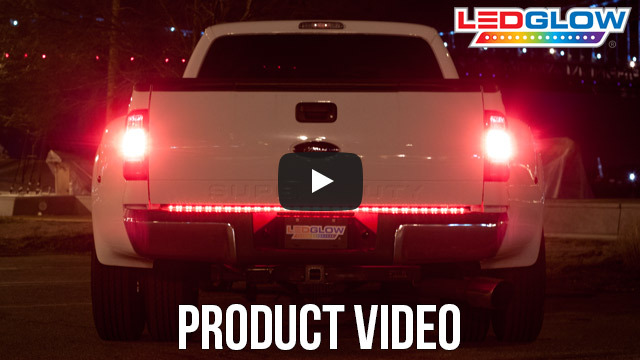 LEDGlow's 49" Compact Truck Red LED Tailgate Light Bar is a highly durable, yet slim LED tailgate bar designed to give your truck added style and visibility when driving at night. 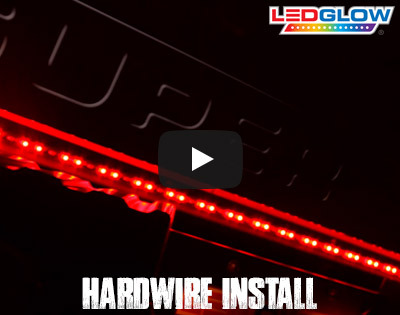 LEDGlow’s red truck tailgate lights offer plug & play connectivity with the included standard flat 4 pin trailer connection harness and provides highly visible brake, running, hazard and turn signal light functions. This 49" red tailgate light bar includes 48 red LEDs, and is designed to provide your truck with the best illumination possible to clearly and efficiently signal other vehicles on the road. 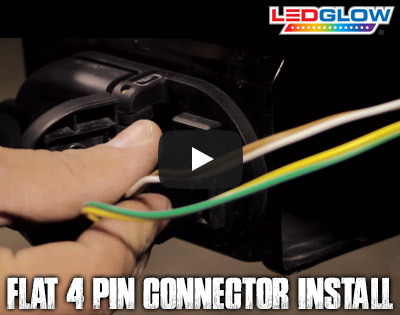 This tailgate light bar is easily installed with the included 3M tape and self-tapping screws, if your truck does not have a standard flat 4 pin connection, all you need to do is splice the wires to your truck's signal wires for a secure hard-wired connection. Our 49" tailgate light will fit most compact trucks, but we recommend precisely measuring your tailgate before purchasing. A one year warranty and free lifetime technical support comes standard with each tailgate light bar. Good product, decent price, clear instructions. I chose this 49" LED light bar to mount just above the drop-down door of my WELLS CARGO motorcycle trailer, and hardwire it into the existing wiring. I had to trim off about 1/8" of the top edge of the plastic mounting strip to clear the three existing marker lights, but that proved easy to do. I also secured the bar with an additional three screws. Works well and looks good. "49 Inch Red LED Tailgate Light Bar"
My order arrived quickly and the packaging was very innovative by the way. The installation was fast and remarkably easy. Because my 2009 Ford Ranger has a spare tire access slot between the tailgate and the bumper I had to figure out a way to maintain quick and easy access to this. I used (12) velcro dots to mount the taillight and I am confident that the adhesive on the dots is more than adequate to do the job. Additionally, if I ever do need to lower the spare tire I will be able to remove the light quickly without damaging it and then put it back in place afterwards just easily. The light works as described and not only looks way cool, but adds an additional element of safety to my truck.